Accompanied by an expert Egyptian guide, this singular small group journey through antiquity travels from vibrant Cairo and the Great Pyramids to Abu Simbel and the Upper Nile for a fascinating cruise on Lake Nasser. Then: a classic voyage along the Lower Nile from Aswan to Luxor before returning to Cairo. Day 2: Arrive Cairo We arrive in the Egyptian capital and transfer to our hotel. As guests’ arrival times may vary greatly, we have no group activities or meals planned. Please note: This trip involves considerable walking on uneven terrain and at sites of ancient ruins. You should be in good physical condition to enjoy the tour to its fullest. Please call if your city is not listed or for land only prices. Prices are per person based on double occupancy in an outside cabin on both cruises and include airline taxes, surcharges, and fees of $602, which are subject to change until final payment is made. Single travelers please add $1,195. Your $375 deposit is fully refundable up to 95 days before departure. All 2019/2020 tour prices above (excluding airline taxes, surcharges, and fees) are guaranteed. Set near the Nile River, this hotel is 2 miles from both Cairo Ramses train station and the Egyptian Museum. The hotel’s amenities includes eight restaurants and snack bars, a bar, fitness center, spa, and rooftop pool. The 548 air-conditioned guest rooms include a private bath with hair dryer, TV, phone, coffee and tea maker, and complimentary Wi-Fi internet access. Launched in 1998, the M/S Prince Abbas offers travelers a unique vantage point from which to experience treasures of antiquity in the comfort of contemporary amenities. With just 69 cabins, this 120-passenger ship offers a level of personal service well suited to small group travel. The ship features an observation room/library with panoramic windows, dining room, lounge, and bar, billiard room, and gym. There is no elevator on board. On the canopied sun deck, a plunge pool beckons, as does a relaxing Jacuzzi and informal bar. Your air-conditioned outside cabin has a private bath with hair dryer, TV, music channel, service telephone, and window. Please note that the ship docks at regular docking facilities in Abu Simbel and Aswan; at other stops you will take small launches or motorboats from the ship to shore. Please also note that M/S Prince Abbas will not have phone reception on weekends from approximately 11:00 a.m. on Saturday to 7:00 p.m. on Sunday. Launched in 2007, this 56-cabin river ship offers such amenities as a dining room, bar, lounge, Sun Deck with outdoor pool, heated whirlpool, sauna, massage treatments, fitness center, Wi-Fi internet access (for a fee), and gift shop. Air-conditioned cabins have private bath with hair dryer, safe deposit box, mini-bar, TV, and phone. The Steigenberger Nile Palace sits on the banks of the Nile, in the heart of the city’s historic center and a short drive from the Temple of Luxor. The 285-room hotel features four restaurants and three bars; fitness center; spa with sauna, steam bath, and massage treatments; heated outdoor pool; rooftop tennis court; on-site doctor; internet access; bookstore; gift shops; hairdresser; and laundry and dry cleaning services. Air-conditioned guest rooms each have private bath with hair dryer, in-room safe, mini-bar, TV, and phone. Located at the entrance to Petra, the 183-room Mövenpick Resort Petra features a mixture of Western, contemporary, and traditional architecture and artwork. On-site amenities include two restaurants, bar, and lounge; indoor and outdoor pools; tennis courts; fitness center; spa with steam bath; gift shop; laundry and dry cleaning services; and Internet access. Each air-conditioned guest room has a private bath with hair dryer, in-room safe, mini-bar, TV, and phone. Located in the center of the historic city of Amman, the luxurious Grand Hyatt Amman offers a host of amenities to help guests enjoy their stay here. Along with its sophisticated and stylish décor, the Grand Hyatt Amman boasts two upscale restaurants, outdoor cocktail lounge, and terrace bar; 55-foot indoor/outdoor swimming pool; hairdresser and beauty salon; full spa; shopping gallery; fitness center with workout equipment, sauna, steam room, and whirlpools; laundry and dry cleaning services (for a fee); and complimentary Wi-Fi internet access. Each air-conditioned guest room features private marble bath with hair dryer, tea- and coffee-making facilities, minibar, in-room safe, TV, and phone. Discover the fabled “rose-red city, half as old as time” on this exciting exploration. Plus: ancient Jerash and the capital of Amman. A visa is required for this extension. Odysseys Unlimited will provide information about visa requirements upon reservation. Ingenious color maps, site plans, photographs and accompanying essays trace Egyptian civilization from the founding of Memphis through the sacking of Thebes and the invasion by Alexander the Great in 332 BC. The ideal companion to a Nile cruise, Haag introduces all the famous monuments and temples of Upper Egypt from Luxor, Karnak, Valley of the Kings and the tomb of Tutankhamun to the marvels of Aswan and Abu Simbel in full color. This visually rich guide to the history, culture and monuments of Egypt includes 1,000 color photographs, maps and 3-D site diagrams. This easy-fold map, featuring insets of Luxor, Valley of the Kings, Giza, the Nile River Valley, Cairo and other sites, also covers Petra, Jerusalem and most of Israel. A colorful, folded map of Cairo on thick paper. Insets of Luxor, Alexandria and Heliopolis. Scale 1:13,000. A handy pocket guide to understanding local customs and etiquette. Museum-goers and armchair travelers alike can gain a basic knowledge of the language and culture of ancient Egypt with this excellent step-by-step guide to decoding tomb scenes and inscriptions. With illustrations, photographs, a handy list of kings and gods and vocabulary. A guide to common words and phrases in the widely spoken Cairo dialect. With sections on history, individual sites and practical details, this new edition of the classic Penguin Guide to Ancient Egypt has been thoroughly updated by Aidan Dodson. As engaged and thoughtful as ever, Feiler brings texture and insight to these thrilling tales of youthful revolt across the Arab world, weaving on-the-spot reports from Tahir Square and elsewhere with history and commentary. Tim Jeal widens his scope in this spirited new history of the great 19th-century quest for the origins of the Nile, covering the many expeditions and complex rivalries of Burton and Speke, Livingstone and Stanley and other Victorian adventurers with panache. A highly readable overview of the role of women in Islamic society, drawn from the author’s many interviews with women throughout the Arab World. This biography of the Nile River overflows with stories of the human history that has played out on the great river’s banks. Twigger meanders along the Nile, bringing to the surface fascinating tales of crocodiles and caliphs, 19th-century adventurers and 20th-century novelists, biblical prophets and classical lovers. Renowned Egyptologist Toby Wilkinson guides readers through Egyptian history on a Nile River journey. 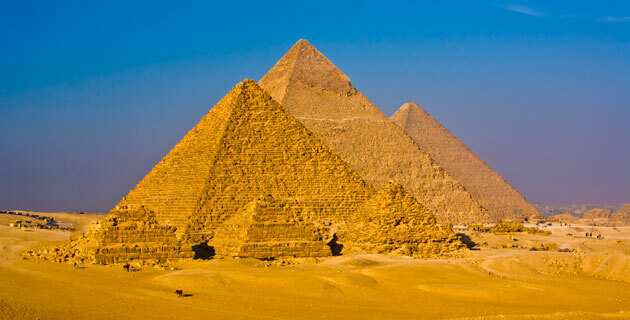 Readers are swept from the river’s mythical sources to famous historical and cultural sites all the way to Cairo. In this grand history of exploration and events on the great river from 1798 to 1869, Moorehead follows the course of the Blue Nile from the Ethiopian highlands through Sudan and Egypt to the Mediterranean. Princeton historian Tignor distills five decades of study and travel for this vivid account of the sweep and tumult of Egyptian history from the settlement of the Nile to the present. Sweeping away centuries of myth and legend, archaeologist John Romer documents in meticulous detail how the Great Pyramid of Khufu at Giza was designed and built, revealing along the way much about life in ancient Egypt. Weaving classic travelers’ accounts with essays and 150 color photographs, this compact book beautifully illuminates the history and allure of the towns, temples and tombs of the Nile from Abydos to Abu Simbel. Mahoney weaves the tale of her quest to row the Nile with deft portraits of the people she meets in this marvelously engaging chronicle. How could we resist? Christie wrote Egypt’s most famous murder mystery on the terrace of the Old Cataract Hotel in Aswan. The first volume in the monumental Cairo Trilogy, a family saga set in post-WWI Egypt. Nobel Prize-winning Mahfouz provides insight into life in Egypt and the revolution against the British. The politics, repressed desires, hopes and dreams of Cairo are reflected through the lives of the inhabitants of a once grand apartment house in this deft novel of contemporary Egypt.